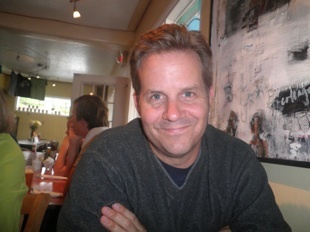 I am an Associate Professor in the department of American Studies at the University of New Mexico. I write and teach in the areas of environmental politics, violence and its relation to law & property, critical human geography and political economy. I have a regional focus on New Mexico and the wider U.S. Southwest. 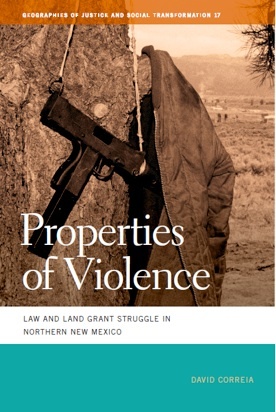 My recent book, Properties of Violence: Law and Land Grant Struggle in Northern New Mexico (University of Georgia Press, 2013) traces Spanish colonial histories and contemporary struggles over property in what is today northern New Mexico. Spain and Mexico colonized the region by distributing large common property land grants to sheepherders and agriculturalists in a period marked by violent Indian removal. Yet after the U.S.-Mexican War a turbulent period of land speculation and dubious property adjudication dispossessed nearly all common-property land grants. The book focuses on one land grant, the Mexican-period Tierra Amarilla land grant. 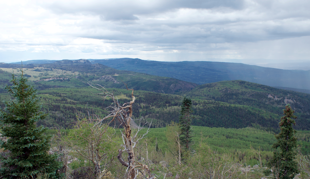 Of all the land grant conflicts in New Mexico’s history, Tierra Amarilla is the most sensational, with its nineteenth century speculators ranking among the state’s political and economic elite and a remarkable pattern of resistance to land loss by heirs in the twentieth century. I reexamine Tierra Amarilla and colonial and post-colonial land grant struggles in New Mexico in general through a critical lens that draws on archival and ethnographic methods in order to understand the cultural politics and political economy of property in northern New Mexico. I narrate a long and largely unknown history of property conflict in Tierra Amarilla characterized by nearly constant violence—night riding and fence cutting, pitched gun battles, and tanks rumbling along the rutted dirt roads of northern New Mexico. The legal geography I reconstruct is one that includes a remarkable cast of characters: millionaire sheep barons, Spanish anarchists, hooded Klansmen, and Puerto Rican nationalists. In the book I argue that violence is not the opposite of law but rather is at the heart of law, and that the violent struggle over Tierra Amarilla was and remains a struggle over the very meaning of law and property. My scholarly work has appeared in journals such as Antipode, Geoforum, The Journal of Historical Geography, Radical History Review and many others. I also write essays and articles for a variety of popular outlets, including CounterPunch, the Weekly Alibi, the ABQ Free Press, and La Jicarita.